The real estate unit of insurer Sun Life Financial Inc. (SLF.TO) is close to a deal to purchase a Montreal office tower from two Canadian pension funds for about $600 million, according to people familiar with the plans. 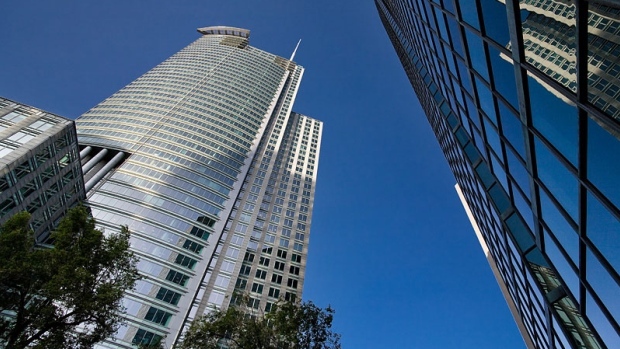 Bentall Kennedy LP is under contract to buy 1250 René-Lévesque Boulevard West from Oxford Properties Group and Public Sector Pension Investment Board, said the people, who asked not to be identified because the matter is private. The deal is not finalized and may not go through. Bloomberg reported in January that Oxford and PSP were engaging with prospective buyers for the building. PSP, which manages the pension funds of Canadian public servants, is an anchor tenant in the building. Oxford, the property unit of the Ontario Municipal Employees Retirement System, manages it. The 47-story skyscraper was built in 1992 and is considered one of the city’s iconic towers. Royal Bank of Canada and CBRE Group Inc. were hired to handle the sale. Representatives for Oxford, Bentall, CBRE and RBC declined to comment. A representative for PSP didn’t respond to a request for comment. Earlier this year, Bentall was in talks to buy the tallest office tower in Montreal, 1000 De La Gauchetière from Ivanhoe Cambridge Inc. though that building is no longer for sale. Bentall managed $22 billion of assets in Canada as of September and has plans to boost its investments in rental apartments amid strong immigration.